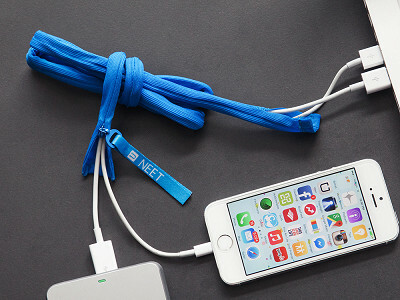 NEET cable keepers are bendable zip-on sleeves for phone chargers, headphones, and other cables. (Because, let’s face it, anything with a cable probably has a tangled cable.) More proof that inspiration can come from anywhere: this line was inspired by a trip to the jewelers. Peter Chin, a manufacturing pro, was buying a necklace for his wife. He noticed how the clerk wrapped it to make sure the chain stayed tangle free. Realizing all the other things he could untangle, Pete went to work and, less than week later, NEET was born. Thanks to the bendable wire frame beneath its fabric, after you zip in your cables, you can fold or shape them and they’ll stay that way. 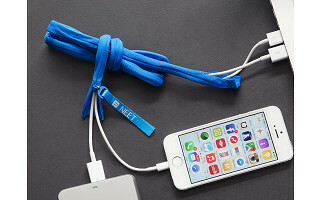 Use NEET to store two or more cables as needed…good news for those of you listening to music on your smart phone. 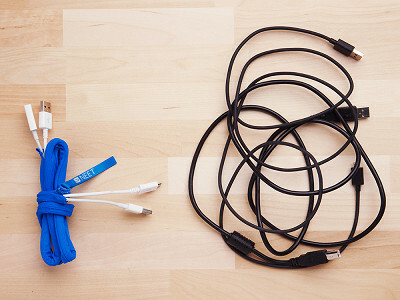 And, with multiple, bold colors, cables stay organized and easy to identify. No more wondering whose earbuds are whose. Hello everyone! I'm Peter, the founder of NEET Products. I'd be happy to answer any questions you have. Hi Peter, fantastic idea! Does the wire ever lose its bendiness? @Shaunee HI Shaunee, no it does not. Once you install it the cable actually help support the wire as well. 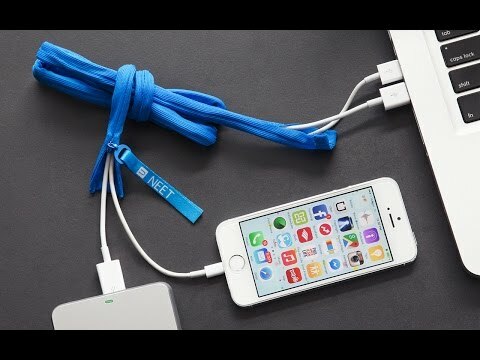 It creates double support for the cable and wire. Can the wire be removed so the fabric of the NEET can be laundered? Will it take machine washing and drying? Hi Peter, Love this idea. Are you selling any wholesale? Can they be customized with a logo? @Marsha We do have authorized vendors for custom branded Cable Keepers. Contact us and we can put you in touch with someone. 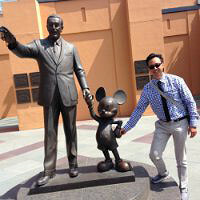 Hi Marsha, to connect with Peter you can contact our customer experience team here. @Mike @Marsha There is a Grommet Wholesale site (look on the right of the navigation bar on www.thegrommet.com ) and you can apply there. Hopefully we will talk our friend Peter here into joining it soon! That way you can get all our awesome Grommets for your shop in one place! Hi Peter, I see a purple one in the photos but it is not an option to purchase. Do you have purple? Hi Mary Ann, the purple sold out earlier today, but we are working now to get them back in stock. Stay tuned! You show a picture of a purple neet keeper. How can I get some in that color? Hi Anne, we are working to get purple back in stock as we speak. Stay tuned! Peter, seems like a great idea. How do you manage the length? What if the cable is shorter than the Neet sleeve? Hi Patrick, that is where the zipper can be of assistance. 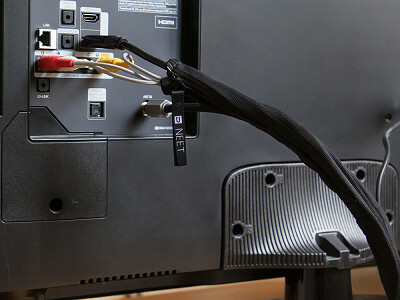 Most cables tend to be approximately the same length, but in the event you have one that is shorter, you can unzip NEET and bend the wire to alter the length of NEET itself to better fit your cable. @Mike The Cable Keeper M was designed for standard length mobile device cables or longer. We will be working with The Grommet Team on bringing in some ideas that are just about ready for market. Thanks! @Peter - do you have an estimated time as to when these new ideas will be ready for sale? @Peter - also, still looking for purple.....soon? Hi Laurie, there is no timetable as to when new ideas will be put on site but stay tuned! As for the immensely popular purple NEET cable keepers, we have put in an order for more so you will be able to purchase them in the next few days.